Join our community of members and enjoy free admission to the Museum year-round. Through your Membership, you support the Museum’s mission of inspiring all Californians to create a more vibrant future for themselves and their communities. Find the Membership level that's right for you! In addition to free admission, OMCA Members can bring guests, enjoy discounts in the OMCA Store and Blue Oak café, preview exhibitions before they open to the public, and gain inside access to all the programs, events, and happenings at OMCA. Supporter | $175 — Best Value! Deepen your connection to OMCA by joining Donor Forum. *Discounted memberships are available onsite for Educators and Students with proof of eligibility. The Oakland Museum of California has partnered with several outstanding East Bay restaurants and businesses to offer OMCA Members exclusive discounts. How do OMCA Perks work? $10 off tickets purchased online or at 510-843-4822, use promo code OMCA10. Excludes opening night performances. 20% discount on tickets purchased online, using discount code OMCA20. 10% off purchases on full-price items. Q: How do I update my personal information, report a lost Membership card? A: Please contact the Membership Department. We also welcome your questions and comments regarding your Membership. Send an e-mail to membership@museumca.org or call 510-318-8520. Q: Can family members or friends use my Membership card? A: Membership cards are not transferable. Only the cardholder is entitled to use the card. Q: Can I bring a guest? A: Members at all levels can bring a guest with them. Members at the Family level and above receive free Museum admission for their children or grandchildren under 18. To receive complimentary admission, each guest must be accompanied by a Member with a current, active Membership. Q: How do I use my guest passes? A: Each guest pass can be given to a friend or family member and may be used for a one-time free admission during regular Museum hours whether or not the Member is present. Guest passes do not have an expiration date. Guest passes may not be used for admission to exclusive Member Previews or for discounts during OMCA Store Member sales. Q: How many guests can I bring to member previews and receptions? A: Member Previews and other Member events are special opportunities for current Members to view exhibitions before they open to the public. Please check your invitation for guest privilege details. Q: What is a reciprocal membership? A: Members at the Supporter level and above enjoy reciprocal benefits at more than 900 museums nationwide—including free admission and discounts on purchases made at participating museums' stores. Please note that some museums restrict benefits and charge an additional fee to view special exhibitions. For more details, please contact the participating museum directly. Q: How can I join, renew, or check the status of my membership? Please allow up to six weeks for membership card printing and delivery. Members can access OMCA with temporary proof of payment or another form of ID until Membership cards arrive. 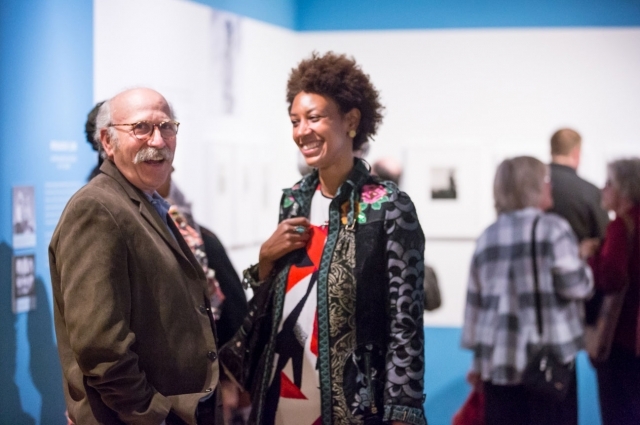 Q: How can I keep up with Member events and other OMCA exhibitions and programs? A: For more up-to-the-moment news and event information, OMCA Members can subscribe to eNews, a free monthly e-mail newsletter. Please use the subscription form on this page to sign up. For more information, contact membership@museumca.org or call 510-318-8520.